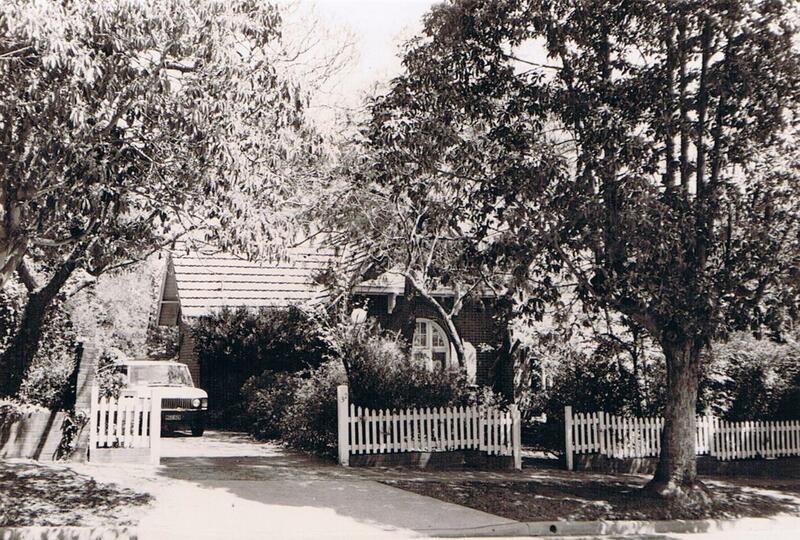 ‘Darenth’ 32 Albyn Road Strathfield was designed in 1895 by architect George Sydney Jones as a private residence for the Reverend George Littlemore, Minister of the Strathfield Trinity Congregational Church. The building was financed and owned by his Jones’ father Dr Phillip Sydney Jones, a close friend of Rev. George Littlemore. The Rev. Littlemore was the occupant of ‘Darenth’ until his death in 1929. The Jones family were devout members of the Congregational Church. David Jones was a foundation member of the Camden Congregational College at Newtown and Phillip Sydney Jones also served on the College Council. Phillip Sydney Jones was a deeply religious man and married the daughter of the Rev. George Charter. The Rev. George Littlemore immigrated to Australia from England and was appointed minister of the Burwood Congregational Church, of which the Jones family were members. After a split in the Burwood Congregation, Jones and his brother-in-law stockbroker Thomas James Thompson (1830-1917) partly financed the building of a new Congregational Church in Strathfield on the corner of Morwick St and The Boulevarde Strathfield. The Church was designed in 1889 in an honorary capacity by George Sydney Jones and his cousin architect Harry Thompson. The Trinity Congregational Church was gazetted on the State Heritage Register in 2003. Eventually the Rev. George Littlemore much beloved by at least half the congregation left Burwood to become the minister at the new Church. “Trinity Church arose from a division of theological opinion within the Burwood Congregational Church. On Sunday May 5 1889 a number of church members, together with the Rev. George Littlemore, Burwood’s former pastor, met for worship in the Burwood School of Arts and subsequently 48 persons enrolled as members of what is now known as Trinity Church. Darenth is listed as a Heritage Item on Strathfield Council LEP and as an indicative place on the Register of National Estate. It has been classified by the National Trust and is an item on the Royal Australian Institute of Architects [RAIA] List of Significant Twentieth Century Buildings. (c) Cathy Jones 2010. Pursuant to the provisions of the Copyright Act 1968, no permission is given to any person to reproduce any work. Existing publications do not assign or imply any ownership by any other person by the author. No permission is given by the author for any commercial advantage to any person or organisation.